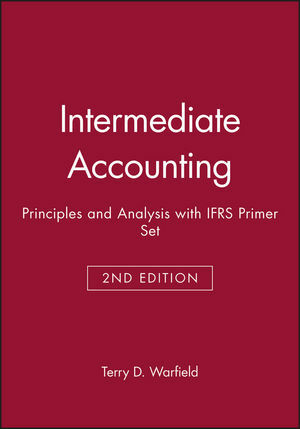 Intermediate Accounting: Principles and Analysis, Second Edition, provides a solid foundation for instructors whose goal is to help accounting students to build an understanding of the principles, concepts, and methods of financial accounting and reporting. Warfield, 2/e incorporates a more conceptual focus, new pedagogy within each chapter, and redesigned end of chapter material to better enhance the connections between content and homework assignments. Jerry J. Weygandt, PhD, CPA, is Arthur Andersen Alumni Professor of Accounting at the University of Wisconsin-Madison. He has a Ph.D. from the Univ. of Illinois. His articles have appeared in the Accounting Review, Journal of Accounting Research, Accounting Horizons, Journal of Accountancy, and other academic and professional journals. 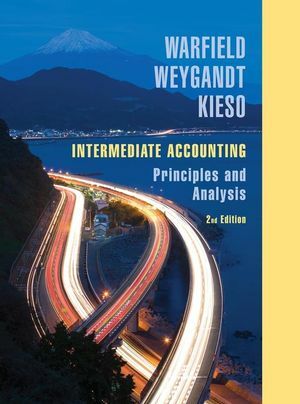 Professor Weygandt is author of other accounting and financial reporting books and is a member of the American Accounting Association, the American Institute of Certified Public Accountants, and the Wisconsin Society of Certified Public Accountants. He is the recipient of the Wisconsin Institute of CPAs Outstanding Educator’s Award and the Lifetime Achievement Award. In 2001 he received the American Accounting Association’s Outstanding Accounting Educator Award. Donald E. Kieso, PhD, CPA, received his bachelor’s degree from Aurora University and his Ph.D. from the University of Illinois. He has served as chairman of the Department of Accountancy and is currently KPMG Emeritus Professor of Accountancy at Northern Illinois University. He has public accounting experience with Price Waterhouse & Co. (San Francisco and Chicago) and Arthur Andersen & Co. (Chicago) and research experience with the Research Division of the American Institute of Certified Public Accountants (NY). He has done postdoctorate work as a Visiting Scholar at the University of California at Berkeley and is a recipient of NIU’s Teaching Excellence Award and four Golden Apple teaching Awards. Professor Kieso is the author of numerous other accounting and business books and is a member of the American Accounting Association, the American Institute of Certified Public Accountants, and the Illinois CPA Society. "Try It Out" review exercises (with suggested solutions), following key text sections, engage students in active learning as they work their way through a chapter. International Insight paragraphs (in margins) describe or compare the accounting practices in other countries.